For Colourful Revolution in the Republic of Macedonia, see 2016 Macedonian protests. Colour revolution (sometimes called the coloured revolution) or color revolution is a term that was widely used by worldwide media to describe various related movements that developed in several societies in the former Soviet Union and the Balkans during the early 2000s. 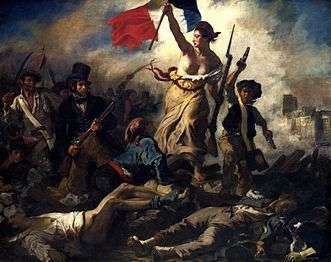 The term has also been applied to a number of revolutions elsewhere, including in the Middle East. Some observers (such as Justin Raimondo and Michael Lind) have called the events a revolutionary wave, the origins of which can be traced back to the 1986 People Power Revolution (also known as the "Yellow Revolution") in the Philippines. 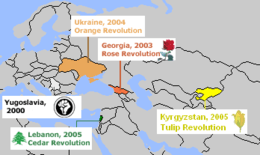 Such movements have had a measure of success, as for example in the former Yugoslavia's Bulldozer Revolution (2000), in Georgia's Rose Revolution (2003), and in Ukraine's Orange Revolution (2004). In most but not all cases, massive street protests followed disputed elections, or requests for fair elections, and led to the resignation or overthrow of leaders considered by their opponents to be authoritarian. Some events have been called "color revolutions" but are different from the above cases in certain basic characteristics. 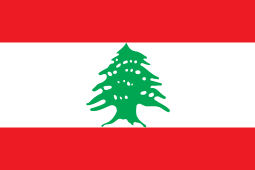 Examples include Lebanon's Cedar Revolution (2005); and Kuwait's Blue Revolution (2005). Yellow Revolution Philippines 22 February 1986 25 February 1986 The 1986 People Power Revolution (also called the "EDSA" or the "Yellow" Revolution) in the Philippines was the first successful non-violent uprising in the contemporary period. It was the culmination of peaceful demonstrations against the rule of then-President Ferdinand Marcos – all of which increased after the 1983 assassination of opposition Senator Benigno S. Aquino, Jr. A contested snap election on 7 February 1986 and a call by the powerful Filipino Catholic Church sparked mass protests across Metro Manila from 22–25 February. The Revolution's iconic L-shaped Laban sign comes from the Filipino term for People Power, "Lakás ng Bayan", whose acronym is "LABAN" ("fight"). The yellow-clad protesters, later joined by the Armed Forces, ousted Marcos and installed Aquino's widow Corazón as the country's eleventh President, ushering in the present Fifth Republic. Purple Revolution Iraq January 2005 Purple Revolution was a name first used by some hopeful commentators and later picked up by United States President George W. Bush to describe the coming of democracy to Iraq following the 2005 Iraqi legislative election and was intentionally used to draw the parallel with the Orange and Rose revolutions. However, the name "purple revolution" has not achieved widespread use in Iraq, the United States or elsewhere. 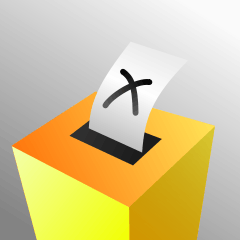 The name comes from the colour that voters' index fingers were stained to prevent fraudulent multiple voting. The term first appeared shortly after the January 2005 election in various weblogs and editorials of individuals supportive of the U.S. invasion of Iraq. The term received its widest usage during a visit by U.S. President George W. Bush on February 24, 2005 to Bratislava, Slovak Republic for a summit with Russian President Vladimir Putin. Bush stated: "In recent times, we have witnessed landmark events in the history of liberty: A Rose Revolution in Georgia, an Orange Revolution in Ukraine, and now, a Purple Revolution in Iraq." Lotus Revolution Egypt 25 January 2011 11 February 2011 Lotus Revolution was a term used by various western news sources to describe the Egyptian Revolution of 2011 that forced President Mubarak to step down in 2011 as part of the Arab Spring, which followed the Jasmine Revolution of Tunisia. Lotus is known as the flower representing resurrection, life and the sun of ancient Egypt. 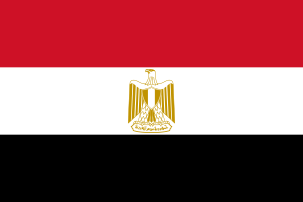 It is uncertain who gave the name, while columnist of Arabic press, Asharq Alawsat, and prominent Egyptian opposition leader Saad Eddin Ibrahim claimed to name it the Lotus Revolution. Lotus Revolution later became common on western news source such as CNN. Other names, such as White Revolution and Nile Revolution, are used but are minor terms compare to Lotus Revolution. The term Lotus Revolution is rarely, if ever, used in the Arab world. . Colorful Revolution Macedonia 12 April 2016 Ongoing Many analysts and participants of the protests against President of Macedonia Gjorge Ivanov and the Macedonian government refer to them as a "Colorful Revolution", due to the demonstrators throwing paint balls of different colors at government buildings in Skopje, the capital. 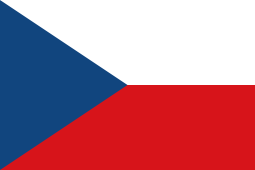 Many have cited the influence of the series of revolutions which occurred in Central and Eastern Europe in the late 1980s and early 1990s, particularly the Velvet Revolution in Czechoslovakia in 1989. A peaceful demonstration by students (mostly from Charles University) was attacked by the police – and in time contributed to the collapse of the communist regime in Czechoslovakia. Yet the roots of the pacifist floral imagery may go even further back to the non-violent Carnation Revolution of Portugal in April 1974, which is associated with the colour carnation because carnations were worn, and the 1986 Yellow Revolution in the Philippines where demonstrators offered peace flowers to military personnel manning armoured tanks. Articles published by the Global Times, a state-run nationalist newspaper, indicate that Chinese leaders also anticipate the Western powers, such as the United States, using 'color revolutions' as a mean to undermine the one-party state. 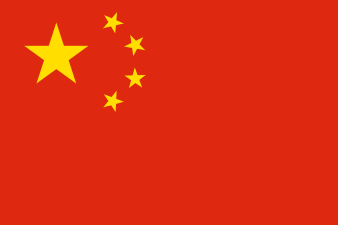 An article published 2016-5-8 claims: A variation of containment seeks to press China on human rights and democracy with the hope of creating a "color revolution. In February 5, 2013, protests began in Shahbag and later spread to other parts of Bangladesh following demands for capital punishment for Abdul Quader Mollah, who had been sentenced to life imprisonment, and for others convicted of war crimes by the International Crimes Tribunal of Bangladesh. On that day, the International Crimes Tribunal had sentenced Mollah to life in prison after he was convicted on five of six counts of war crimes. Later demands included banning the Bangladesh Jamaat-e-Islami party from politics including election and a boycott of institutions supporting (or affiliated with) the party. The movement demanding trial of war criminals is a protest movement in Bangladesh, from 1972 to present. Since 2012 protests it was Aleksei Navalny, who mobilized with support of the various and fractured oppositional parties and groups masses of young people against alleged repression and fraud of the Kremlin apparatus. After a strong campaign for the 8 September elections in Moscow and many regions the opposition had won remarkable successes. So Navalny reached in Moscow a second place with surprising 27% behind Kremlin-backed Sergei Sobyanin with 51%. In other regions oppositions candidates received remarkable successes. So in the big industrial town Yekaterinburg In 2013 opposition candidate Yevgeny Roizman received the majority of votes and became the mayor of that town. 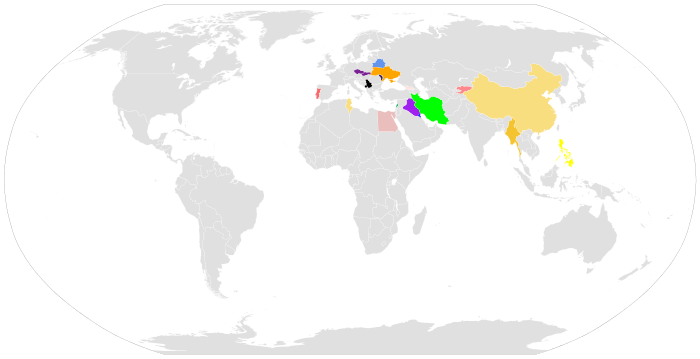 The slow but gradual sequence of opposition successes reached by mass protests, election campaigns and other peaceful strategies has been recently called by observers and analysts as of Radio Free Europe "Tortoise Revolution" in contrast to the radical "rose" or "orange" ones the Kremlin tried to prevent. In 2015 the NDP of Alberta earned a majority mandate and ended the 44-year-old dynasty of the Progressive Conservatives. During the campaign Rachel Notley's popularity gained momentum, and the news and NDP supporters referred to this phenomenon as the "Orange Crush" per the party's colour. NDP parodies of Orange flavored Crush soda logo became a popular meme on social media. ↑ Korsunskaya, Darya (20 November 2014). "Putin says Russia must prevent 'color revolution'". Yahoo. Reuters. Retrieved 20 November 2014. ↑ "The Purple Revolution". Real Clear Politics. January 31, 2005. Retrieved May 4, 2016. ↑ "President Addresses and Thanks Citizens of Slovakia". The White House. February 24, 2005. Retrieved May 4, 2016. ↑ Charles Paul Freund (7 March 2005). "Kuwait: Blue Revolution – Hit & Run". Reason Magazine. Archived from the original on 24 July 2008. Retrieved 15 March 2011. ↑ "Leaders hail Kuwait women's votes". BBC News. 17 May 2005. Retrieved 30 April 2010. 1 2 Archived 30 April 2005 at the Wayback Machine. 1 2 "Military junta threatens monks in Burma", The Times (UK) Archived 10 October 2008 at the Wayback Machine. 1 2 M3 Web – http://m3web.bg (24 September 2007). "100,000 Protestors Flood Streets of Rangoon in "Saffron Revolution"". Novinite.com. Retrieved 15 March 2011. ↑ Tucker, Joshua (15 January 2011). 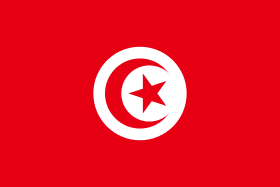 "Initial Thoughts on Tunisia's Jasmine Revolution". The Monkey Cage. Archived from the original on 24 March 2011. Retrieved 15 March 2011. ↑ the CNN Wire staff (29 January 2011). "Egyptian-American leaders call for U.S. support of 'Lotus Revolution'". CNN. Retrieved 15 March 2011. 1 2 Andrew Jacobs (20 February 2011). "Chinese Government Responds to Call for Protests". The New York Times. Retrieved 21 February 2011. 1 2 Cara Anna, Associated Press (19 February 2011). "China cracks down on call for 'Jasmine Revolution'". Boxun.com. Archived from the original on 23 February 2011. Retrieved 21 February 2011. ↑ Petrevska, Anastasija. Arrests Add Fuel to Anti-Impunity Protesters’ Fire in Macedonia. Global Voices Online. Published 27 April 2016. Retrieved 27 April 2016. ↑ O'Sullivan, Feargus. How Paint Became a Weapon in Macedonia's 'Colorful Revolution'. CityLab. Published 9 May 2016. Retrieved 11 May 2016. 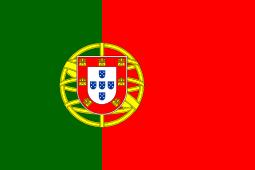 ↑ "THE INTERNATIONAL CRIMES (TRIBUNALS) ACT, 1973". bdlaws.minlaw.gov.bd. Retrieved 1 March 2013. ↑ "Protesters demand death for Bangladesh war crimes Islamist". Reuters. 6 February 2013. Retrieved 8 February 2013. ↑ "Summary of verdict in Quader Mollah case". The Daily Star. 6 February 2013. Retrieved 9 February 2013. ↑ Rabbi, Saimul Islam (16 February 2013). "Bangladesh 1971: War Crimes, Genocide and Crimes against Humanity". BD News 24. Archived from the original on 13 October 2013. ↑ Rahman, Mashiur (28 February 2013). "Analysis: Calls grow for banning Jamaat-e-Islami in BD". The Express Tribune. Retrieved 1 March 2013. ↑ "OUTRAGED". The Daily Star. 6 February 2013. ↑ Sarkar, Ashutosh (7 February 2013). "Verdict surprises some top jurists". The Daily Star. ↑ "Bangladesh's rising voices". Aljazeera. 19 February 2013. Retrieved 21 February 2013. ↑ "Compilation of Shahbag Movement: A new Sun Uplifts". Priyo.com. 11 February 2013. Archived from the original on 12 February 2013. ↑ "Outrage explodes over verdict". The Daily Star. 7 February 2013. ↑ "Asia-Pacific | Mongolians protest for new poll". BBC News. 29 March 2005. Retrieved 15 March 2011. 1 2 3 "Mongolia calls state of emergency". BBC News. 1 July 2008. Retrieved 15 March 2011. ↑ "Mongolia clamps down after 5 killed in unrest". Australia: ABC News. 2 July 2008. Retrieved 15 March 2011. ↑ "Fatal clashes in Mongolia capital the situation had stabilised". BBC News. 2 July 2008. Retrieved 15 March 2011. ↑ "Streets calm in riot-hit Mongolia". BBC News. 3 July 2008. Retrieved 15 March 2011. ↑ "Єдєр бvр дэлхий даяар – Гэмтэж бэртсэн иргэд цагдаад буудуулсан талаараа ярьж байна". Olloo.mn. Archived from the original on 22 July 2011. Retrieved 15 March 2011. ↑ "Mongolia Report 2009". Amnesty International. 2009. ↑ "In pictures: Mongolian protests". BBC News. 2 July 2008. Retrieved 15 March 2011. ↑ xavia. "Lawyers' Movement in Pakistan". 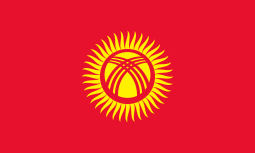 Wikimir.com. Retrieved 15 March 2011. ↑ Oleg Kozlovski, Oborona, and Democracy Activism in Russia, by Matt Mulberry, Sept 13, 2011 Archived 19 June 2013 at the Wayback Machine. ↑ "Oleg Kozlovsky". Retrieved 9 July 2015. ↑ "The Tortoise Revolution". RadioFreeEurope/RadioLiberty. Retrieved 9 July 2015. ↑ Bigg, Claire (8 April 2005). "Bashkortostan: Opposition Denounces 'Dictatorship' At Moscow Protest". Radio Free Europe/ Radio Liberty. Retrieved 15 March 2011. ↑ Kelly, Jack (17 June 2009). "Obama Cowers on Iran". Real Clear Politics. Retrieved 13 January 2010. ↑ Poh Phaik Thien (31 July 2009). "Explaining the Color Revolutions". e-International Relations. Retrieved 13 January 2010. ↑ "Features". Radio Free Europe / Radio Liberty. Retrieved 15 March 2011. ↑ Alisher Sidikov (2 July 2003). "Pakistan Blames IMU Militants For Afghan Border Unrest". Radio Free Europe/Radio Liberty. Retrieved 3 July 2008. ↑ "Nacional y Política" (in Spanish). eluniversal.com. Retrieved 15 March 2011. ↑ "Iran shows new scholars' footage". BBC News. 19 July 2007. Retrieved 30 April 2010. ↑ "Ismaili Muslim elected mayor of the third-largest city in Canada - The Ismaili". Retrieved 9 July 2015. Beissinger, Mark R. (2007). "Structure and Example in Modular Political Phenomena: The Diffusion of Bulldozer/Rose/Orange/Tulip Revolutions". Perspectives on Politics. 5 (2): 259–276. doi:10.1017/S1537592707070776. Dawn Brancati: Democracy Protests: Causes, Significance, and Consequences. Cambridge University Press, 2016. Landry, Tristan (2011). "The Colour Revolutions in the Rearview Mirror: Closer Than They Appear". Canadian Slavonic Papers. 53 (1): 1–24. ISSN 0008-5006.